Sound Keys can be used to trigger other visual effects. For example, combine Sound Keys with Trapcode Particular to have particles emitted, based on a drumbeat. Isolate a snare drum hit as the trigger, or just let the general volume drive the effect. 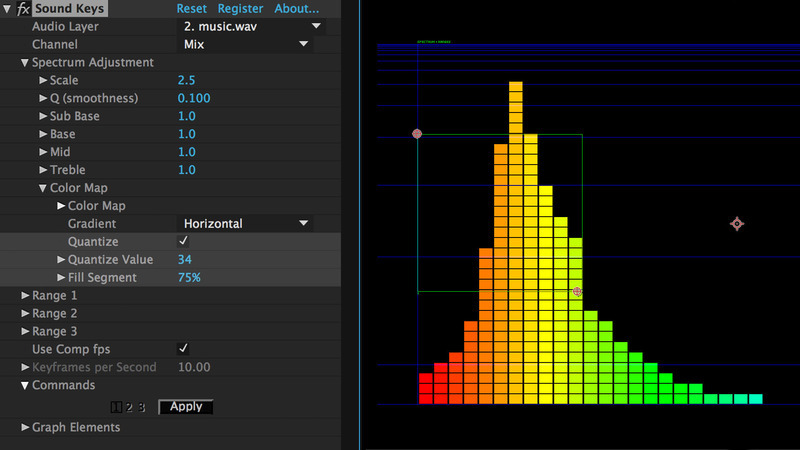 Select parts of an audio track in the visual spectrum and convert them into keyframes, syncing footage with audio using amplitude or frequency ranges. 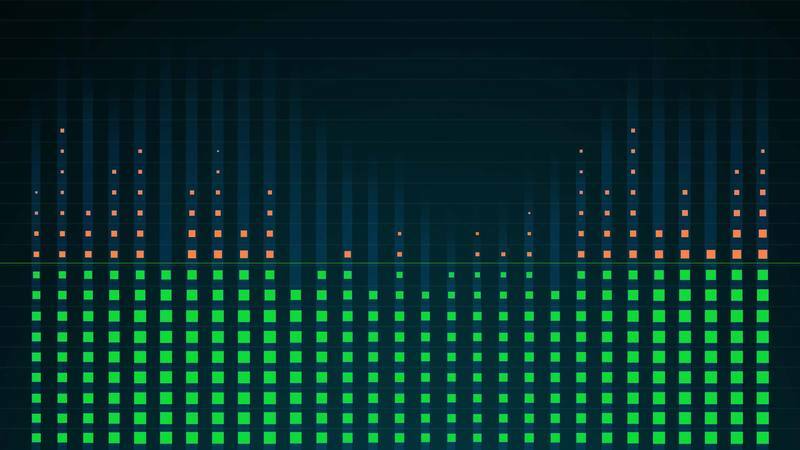 Choose how Sound Keys analyzes your audio selection. 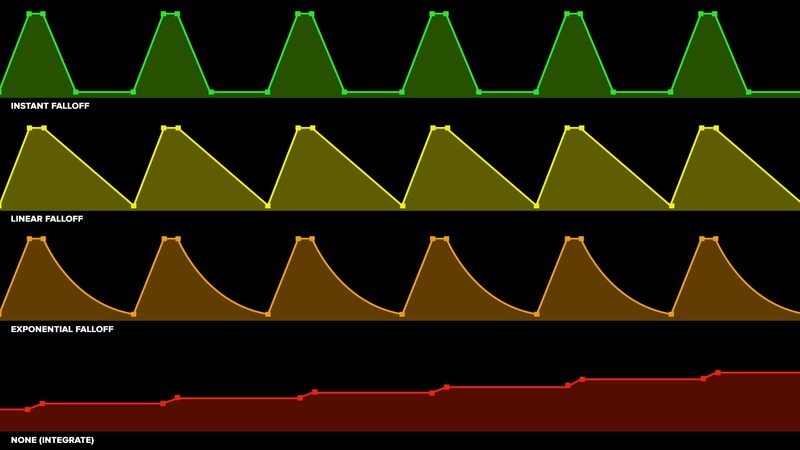 Use simple on/off triggers, range peaks, or an average of the selected audio. Choose how soundkeys interpolates your audio for keyframe creation. Choose Instant, linear or exponential falloff for different effects, or choose no falloff, to continue to add to values. Choose to show or hide the various UI elements, making it easier to isolate and integrate them into your motion graphics work. 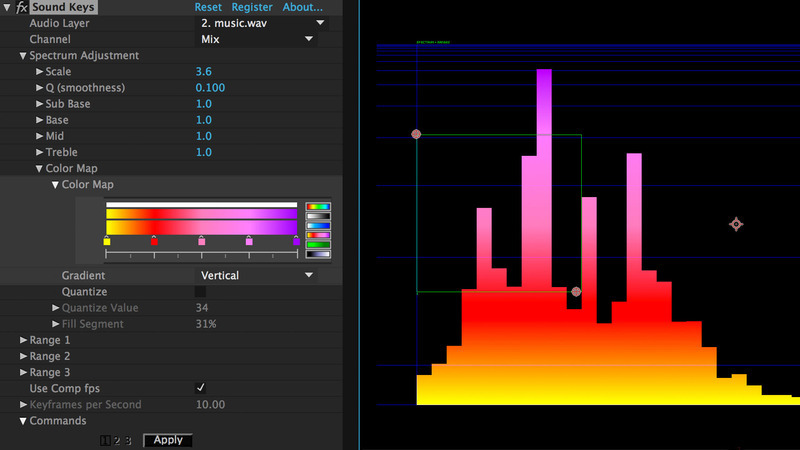 Control the colors and color orientation of VU Meter. 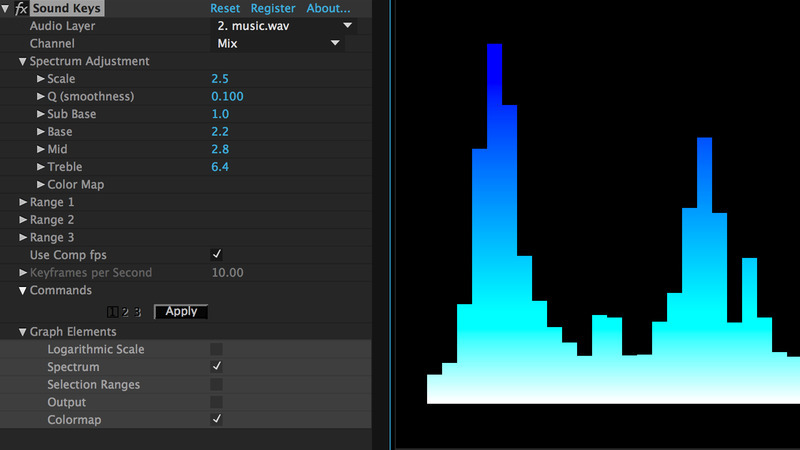 Display the VU meter as separate blocks, with control for segments and resolution.